I first heard about The 100-Day Project from Elise Joy and was immediately into it. Doing something creative every day for 100 days sounds like a really fun 100 days to me! I've been thinking a lot lately about the practice of sewing, like a yoga practice, and this was a great opportunity to explore that concept. 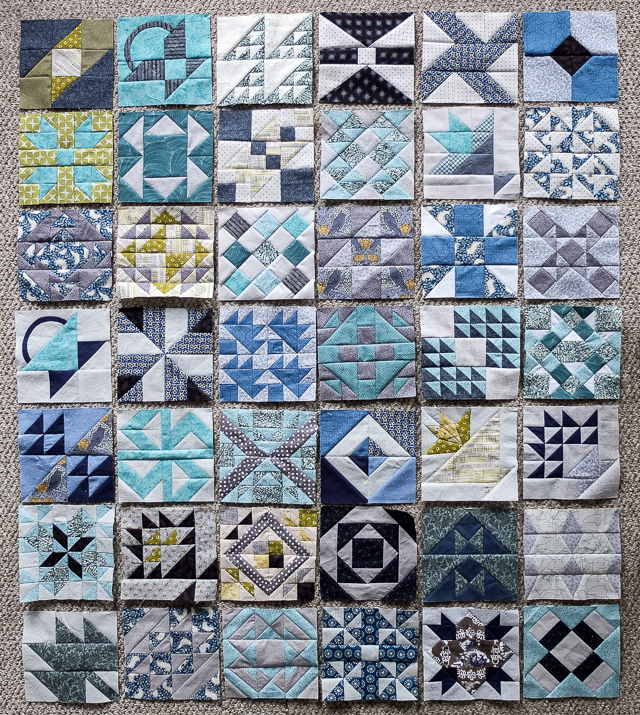 It didn't take me too long to think of a task to commit to either — the 111 blocks in my neglected Farmer's Wife Quilt seemed like a perfect fit. I don't know if I would ever complete that quilt without some sort of challenge like this. And so it began. On April 4th, I sewed up my first block and posted it on Instagram with the hashtag #100daysof FWQ. I told my husband over dinner that night and suddenly I was filled with doubt. What the heck was I thinking? 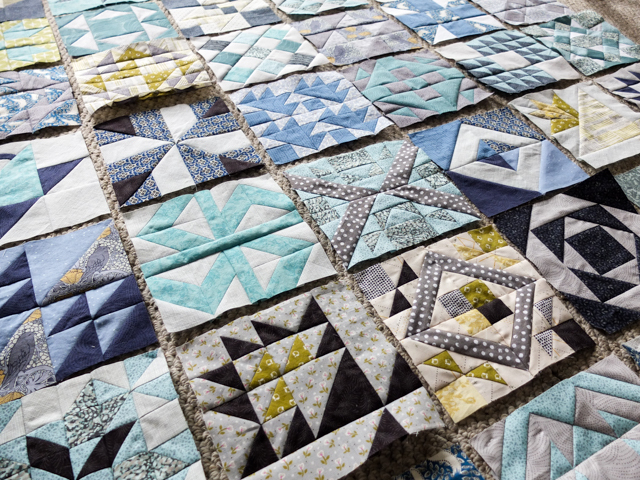 A quilt block every single day for over three months? Am I crazy? What makes me think I could actually stick to that? That's why I've been hesitant to talk about it on the blog — I honestly didn't know if I would be able to follow through. Until now. I'm happy to say that today is day 53, over halfway through the challenge, and I've worked on my Farmer's Wife Quilt every single day. It's safe to say I'm in it for the long haul. I have given myself some grace on the block-a-day. I've made 42 blocks so far. Because I have a million other things I want to make, I try not to devote more than an hour a day to this project and some of the blocks are just too complex for that. There were a few that I cut one day and sewed the next. There were some that I completed one day and re-did the next day (or two) because they weren't right. I was also sick for a few days in there, so I did some construction planning in bed instead. I took a day to cut out all the paper pieced blocks. Things like that. I don't want to talk too much about my feelings or lessons learned just yet. I'll save them for the end. But I will say that although some days are a real struggle, I am enjoying the process. Not only can I see improvements in my sewing and decision-making skills, but ultimately I'm giving greater value to the idea of everyday being a fresh start. Didn't like the block you just made? Oh well. Add it to the stack, you'll make a new one tomorrow. I'm posting every day on Instagram, if you want to follow along and cheer me on for the next 48. This small quilt may not look like much to you. It's only 38" x 50", not even big enough for a twin bed. But it's hanging proudly on the wall of my home for a reason. 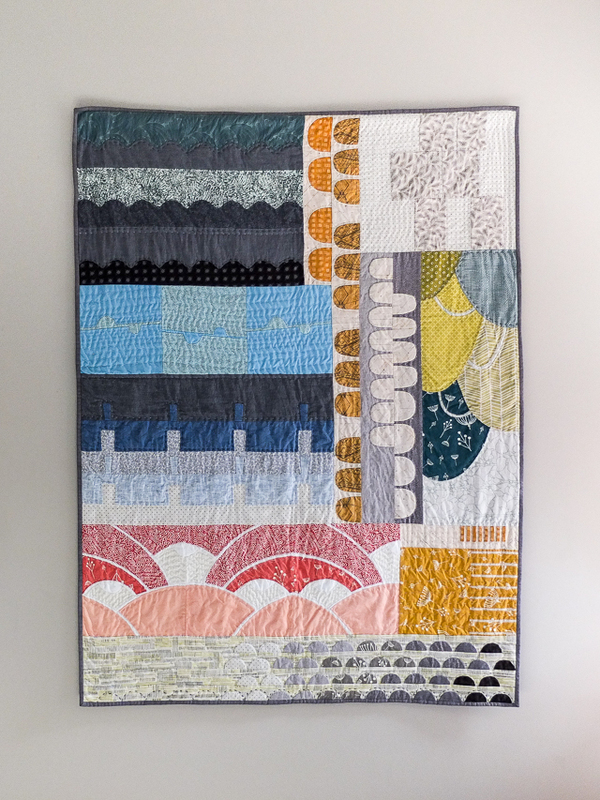 Finishing this quilt was a massive achievement that came to mean much more to me than I ever thought. It's one of my most prized possessions. In short, it's completely sewn and quilted by hand. And I had never appliqued anything other than a small square before this project. Hand sewing is slow sewing — it took me a year and a half to complete—a crash course in discipline and patience. Over time, I began to really value this slow practice, it started to feel like an act of love. I have specific memories sewed into these blocks, where I was, who I was with, what I was thinking about, worrying about. I took it with me from road trips to hospital waiting rooms. It's a beautiful thing.